Three different sculptures by Louise Nevelson, a Russian born American artist, are depicted, each in two versions: A standard black and white conversion from the color image, and the inverted or negative version of the black and white. Each sculpture is painted black to begin with. 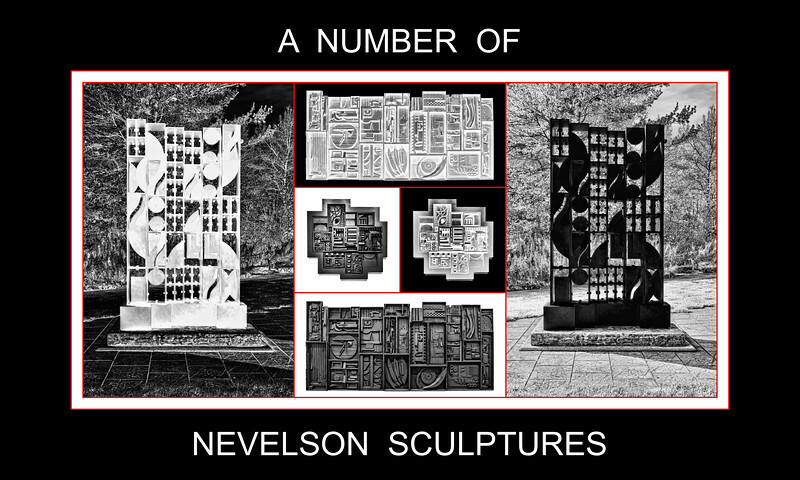 This is my first introduction to Nevelson's art, these are very compelling. I really like them. Thanks for sharing. Excellent montage and great processing. Beautiful Nevelson collage....love your black and white conversions for this! Excellent choice for your "N", Thanks for the description of the sculptures. I would love to see them in the museum.